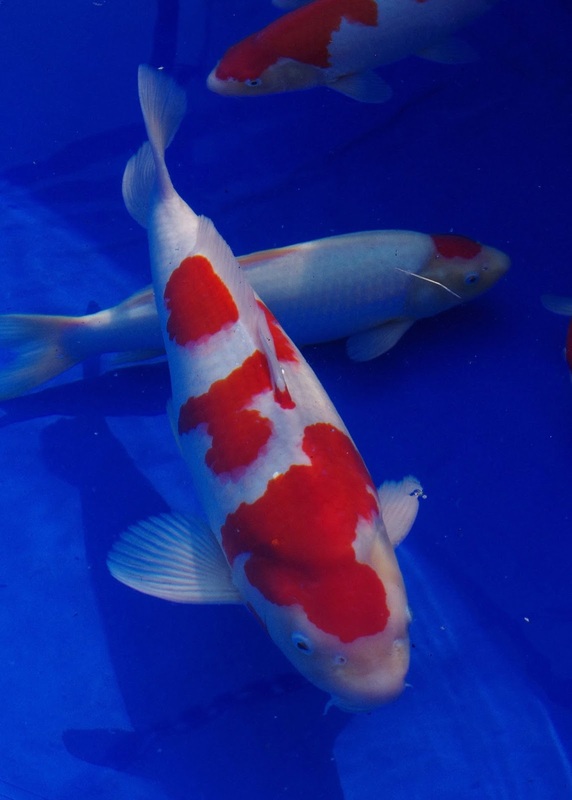 Home / Featured / Koi Show / Show success in Size 5 at the Worthing Koi Show! A huge congratulations to Paul Harding, who won 2nd place in size 5 kohaku at the recent Worthing Koi Show, with one of our home bred kohaku! Paul bought the fish from us a year ago, mid summer 2016. Earlier that summer, this kohaku placed 3rd in size 4 kohaku at the 2016 South of England koi show. He’s nurtured it over the last year, bumped it up one size – and shown it again. And it’s a great achievement to have grown the koi and kept it in good enough condition to achieve this placing in size 5. This kohaku is a sansai male from our July 14 spawning. One of the best fish we produced from that spawning, and clearly still improving! Paul mentioned the koi was in the upper 50’s cm.. so what makes Paul's placing even more special is that the kohaku has managed to achieve that placing whilst also being at the bottom end of the size 5 size band. Here’s a picture of the fish – it’s an out of date picture from a year ago (at the June 2016 South of England Show) – but shows you the fish in question. I feel this kohaku could still be competitive in future years, and I’ll keep you posted if I hear any further updates on it from Paul.